No matter how many precautions are taken, there is always a risk for foodborne illness outbreaks within every agricultural company. The good news is that produce traceability technology has improved greatly over time – this includes Produce Scan by T3 Technologies – which has helped to better safeguard consumers. Produce traceability is no longer overly difficult and costly despite what many in the industry may think. In this post, we will look at several of the ways produce traceability can benefit you. Implementing produce traceability into your current operations can be done easily and effectively with the help of T3 Technologies. 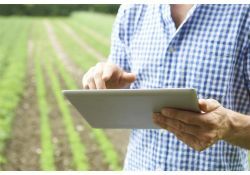 With years of experience in working with customers in the agricultural industry, we offer a variety of mobile and desktop traceability solutions that can be implemented with very little effort on your end. From its point of origin all the way to its final retail destination, Produce Scan by T3 Technologies precisely tracks each piece of produce. No matter the number of times your shipments are split or shipped to varying destinations, our Produce Scan technology will ensure you will be able to accurately identify their source. If you do not have produce traceability in place, you’re unable to only recall the items that can be traced back to the origin of the contamination. This can result in major losses of time and money that could have been avoided with the proper systems in place. Also, besides saving time and money, the ability to do this also helps to foster trust with customers if there is an outbreak. Contact T3 Technologies today to learn more about implementing produce traceability with Produce Scan into your operation. True Blue Processing in Bangor, Mi.